This may seem like a stupid post to some of you but – I never took the time to understand why there are 3 colors of concealer + what they are for. I feel as a smarter beauty rep and part of Bona Clara I should know this kind of thing. So allow me to enlighten those of you who, like me, have not ever taken the time to understand the rainbow of flaw cover ups most make up brands have to offer. Apparently there is a method to the madness. 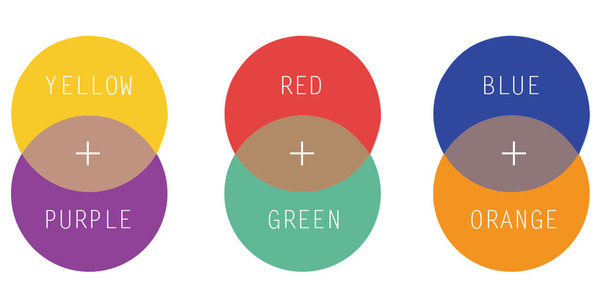 Each of these colors are opposite each other on the color wheel and there for “cover up” or tone down the blemish. Yellow, also known as Apricot in color, used to conceal bluish bruises, under-eye circles and mild red tones on the face. Green is used to normalize yellow-colored skin imperfections such as sallow complexions and yellow bruises. It can also help conceal very dark under-eye circles and dark spots on bronze skin tones. Purple is used to neutralize red tones on the skin. Use this for covering blemishes, zits, red blotches, rosacea, port-wine stains. Who would have thunk it… not me. Do you use colored concealers? This entry was posted in Makeup and tagged beauty, blemish, Color, concealer, cover up, did you know, Shopping, skin care, smarter beauty.